The opening of the Two Rivers Mall in Nairobi, a facility tipped to be the largest of its kind in East Africa, has been pushed back to March 2016.The mall that was due to open last month is situated in the heart of the affluent Runda, Gigiri, Muthaiga and Nyali neighbourhoods and it spans 62,000 square metres – unseating the Garden City Mall on Thika Road, which measures 50,000 square metres. The development is located within the Nairobi’s diplomatic blue zone and is less than a 10 minutes drive from the UN Complex, the US Embassy and the Canadian Embassy. The Two Rivers Mall is part of a mixed-use real estate development that is being undertaken by Centum Group on a 102-acre parcel of land that was acquired from the Koinange family in a transaction estimated to be at least Sh1 billion. 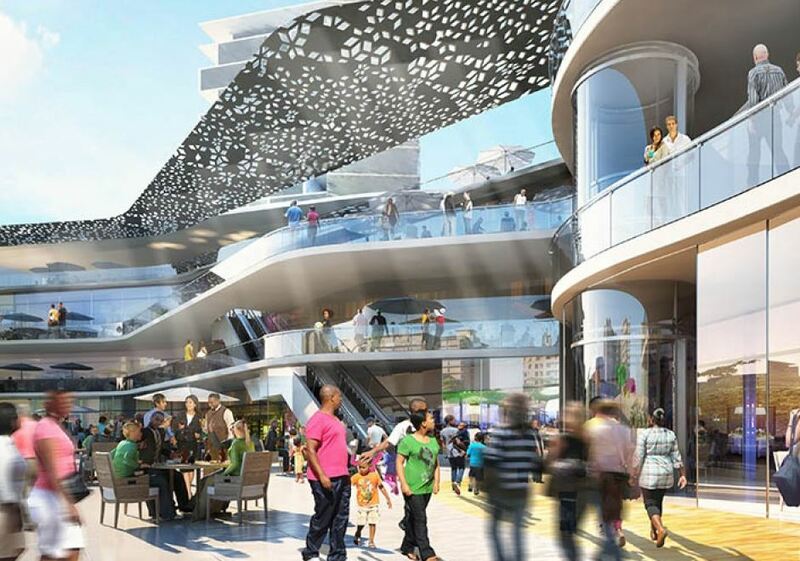 Centum chief executive James Mworia told an investors briefing in Nairobi on Wednesday that the opening date of the mall had been pushed back by three months in order “to allow all 190 tenants to finalise preparations”. In April, Centum announced that Aviation Industry Corporation of China (Avic), the main contractor for project, had invested Sh6.4 billion in Two Rivers for a 38.9 per cent stake – valuing the project at about Sh16.6 billion. “The investment by Avic is particularly noteworthy being one of the largest foreign direct investments in this region by a Chinese corporation into a private enterprise,” Centum said. Centum also disclosed that state-owned investment firm ICDC, which also holds a 23 per cent stake in Centum, had made a Sh462.5 million equity investment while Co-operative Bank had contributed Sh7.2 billion in debt funding for the project. The Two Rivers Mall consists of medium density residential homes, a five-star hotel, office blocks and a shopping centre. The project, which is managed by Athena Properties Ltd., will be compliant with international green standards, featuring luxurious residential apartments and low-rise office blocks being built by the China National Aero-Technology International Engineering Corporation (CATIC) and local sub-contractors. Runda is set to become home of Kenya and East Africa’s biggest shopping mall. The concrete wonder dubbed Two Rivers will be at the heart of the affluent Runda, Gigiri, Muthaiga and Nyari neighborhoods. The entire complex, which will also include a 5 starhotel, residential apartments and an office park, will be located on a 100 acre piece of land, a few minutes from the UN complex and several embassies. The whole project is estimated to cost around Sh60 billion. Of the 62,000 square meters of GLA retail tenants, just under 50% are international clients including international supermarket chain, Carrefour hypermarket on 10,000 sqm as the anchor tenant. This will be the second Carrefour in Africa and the first in the region. The Two Rivers Lifestyle Centre is 50% let by Value; Construction is at the sub structure stage with an expected completion date of September 2015. The Opening date of the mall is March 2016. Two rivers is owned by Centum Investement where Chris Kirubi is the majority shareholder. Chris Kirubi’s Runda Project: Two rivers set to be East Africa’s Largest Shopping Mall.Two Rivers Mall to open in March 2016 Reviewed by samrack on January 19, 2016 .